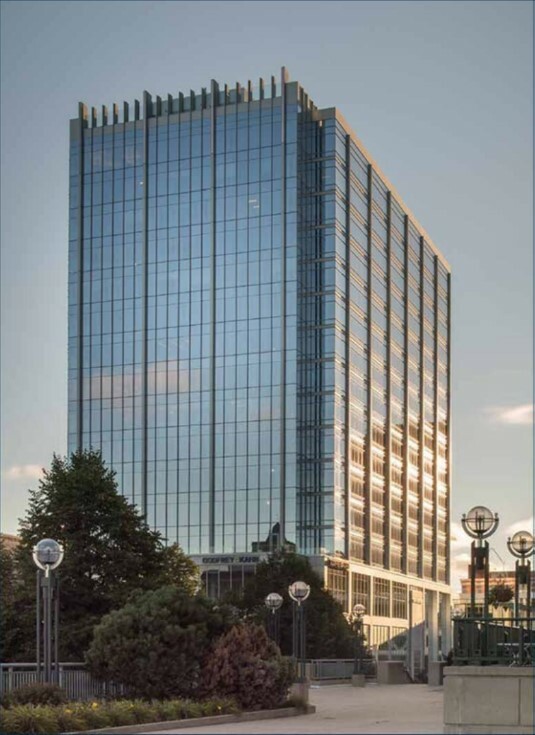 Walker & Dunlop, Inc. (NYSE: WD) (the “Company”) announced today that it structured an $80,000,000 non-recourse loan for 833 East Michigan, a 359,000 square-foot, LEED Silver certified, Class A+ office building in the central business district of Milwaukee, Wisconsin. Proceeds of the loan provided by PGIM Real Estate Finance were used to refinance the property’s existing construction debt. PGIM Real Estate Finance is the commercial mortgage business of PGIM, the global asset management businesses of Prudential Financial, Inc. Opened in 2016 and 17 stories tall, the lakefront property is one of the newest additions to the city’s skyline and is the first significant multi-tenant office development in downtown Milwaukee in nearly a decade. The downtown area has seen an influx of tenants from the suburbs, and 833 East Michigan has consequently enjoyed a strong lease-up. 833 East Michigan features a unique combination of design, technology, parking and amenities that make it one of the premier office properties in Milwaukee. The property is part of a collection of six office and hotel buildings positioned around the U.S. Bank Center, all of which are connected physically by skyway or tunnels. Adjacent to the planned Milwaukee streetcar route, the excellent location will soon offer tenants immediate access to the intermodal transportation station in addition to much of downtown Milwaukee. The property has a strong collection of occupants, with PricewaterhouseCoopers, KPMG, Godfrey & Kahn, and Rare Steakhouse amongst them. In addition to modern features, vast windows with waterfront views, and marble-finished lobbies, the building includes a state of the art fitness center and conference center. As one of Fortune’s Fastest Growing Companies, Walker & Dunlop continues to expand across the United States and is dedicated to increasing the presence of its Capital Markets platform. In 2017, the Capital Markets team closed a record $7.3 billion in total brokered volume, up 75 percent from the full-year 2016 figure.